Digital Walker has a special treat to OnePlus 6 Red edition fans. What is it? 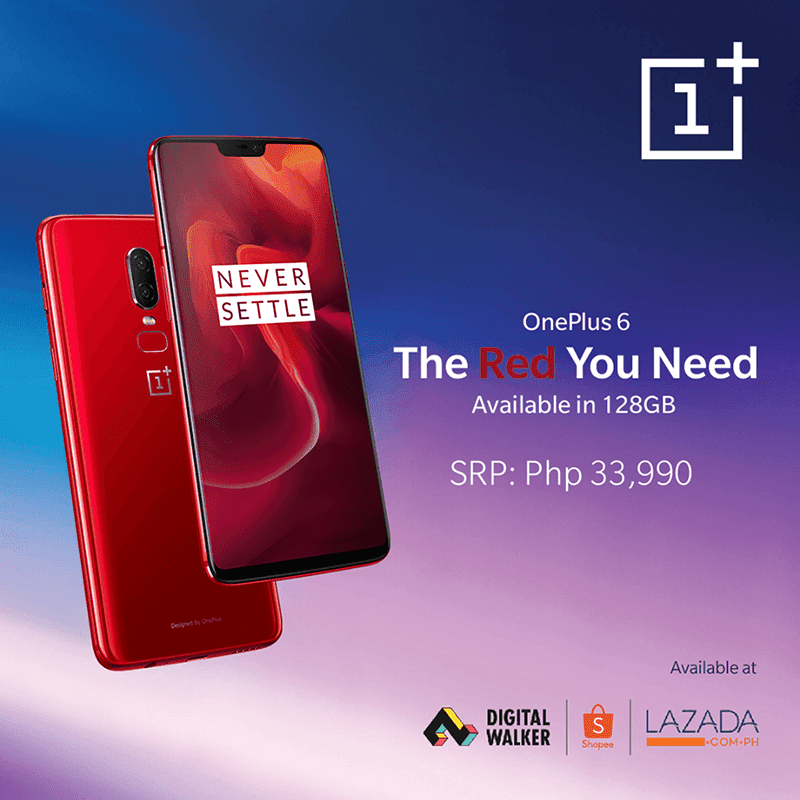 The said smartphone is now available in the Philippines. Related: OnePlus 6 Review - Still the Flagship Killer? The OnePlus 6 Red is still the same OnePlus 6 on the inside except that it now has a special Red colorway. According to OnePlus CEO Pete Lau, it was designed using a new film coating process. The OnePlus 6 Red will come in 8GB RAM/128GB ROM. It is priced at PHP 33,990. You may also get it with an easy-to-own payment at PHP 37,990 for up to 24 months. Digital Walker accepts banks like: Metrobank, Unionbank, Security Bank, BPI, Eastwest Bank, PNB, Citibank, and BDO. It is available at Digital Walker stores, Shopee, and Lazada. Note: If you're new to Shopee, use the GZGIZGUIDE code before checkout to get 10 percent off on your total purchase capped at PHP 4,000.